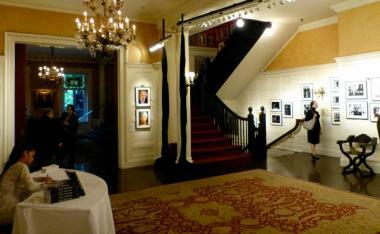 The Players Club, a 124-year old actors' society, is located at 16 Gramercy Park. GRAMERCY PARK — The Players Club has been running for more than five months without workers' compensation coverage and has racked up $30,000 in penalty fees to add to its many financial woes, DNAinfo.com New York has learned. The 124-year-old club's Financial Audit Committee (FAC), a self-appointed group of members, recently sent out a letter to members notifying them of the club’s failure to reinstate workers' compensation insurance as required by state law. It covers employees injured during their work. The club, located at 16 Gramercy Park South, was set up as a society of actors, writers and other members of the art professions in 1888 by a group that included writer Mark Twain. It was last insured by New Hampshire Insurance Company, but its account was canceled on Oct. 7, 2012, due to nonpayment, according to a document from the New York State Workers' Compensation Board. Since the account was canceled, which consequentially left the club uninsured, the club racked up the $30,000 in penalties, said a spokeswoman for the agency. The Workers' Compensation Board will automatically generate a $2,000 penalty every two weeks the club goes without coverage, she noted. In response to the committee’s letter, the club's executive committee sent out its own letter on March 6, assuring members that the insurance had been covered. “While the FAC is correct that the club’s workers' compensation policy was canceled…the club did not receive notice of the cancellation until last month, and we promptly secured new coverage,” the executive committee's letter said. The club secured new coverage by State Insurance Fund and it was effective as of Feb. 22, said John Martello, executive director of the club. As of March 11, there was no record that the club had secured insurance, but records can take up to two weeks to process, a spokeswoman for the NYS Workers' Compensation board said. Aside from the unpaid insurance bill, the 124-year-old club has been plagued by financial problems in recent years, DNAinfo.com New York reported last spring. The club was in debt up to $2 million as of April last year, and was struggling to make funds to repair the building’s hazardously crumbling façade. In the recent letter sent out to members by the Financial Audit Committee, the group criticized management for the lack of transparency regarding the club’s financial matters. “Many of the FAC’s requests for such basic information… any prudent person might ask to see, have been refused or ignored,” the letter states. “The FAC wonders if those records do not, in fact, exist. In the letter, the FAC invited members to a meeting on March 14 to address these and many other financial concerns, including the profit-and-loss statements for club events and accounting records that prove that costs for events were calculated properly. The FAC is led by committee chairman Lee Pfieffer and co-chairman Bob Cohn. “We cannot stress enough the importance of your attendance…and your right to know how your club is being managed,” urged the FAC.